Meet Falanghina (say it: Fall-an-GHEE-nuh), one of the oldest white grape varieties in Italy! It’s believed that Greek settlers brought this variety with them to the Campi Flegrei area (near modern-day Naples) as far back as the 7th century BCE. Falanghina may have been the grape variety that made up the ancient white wine Falernum, one of the most renowned wines of the Roman Empire. 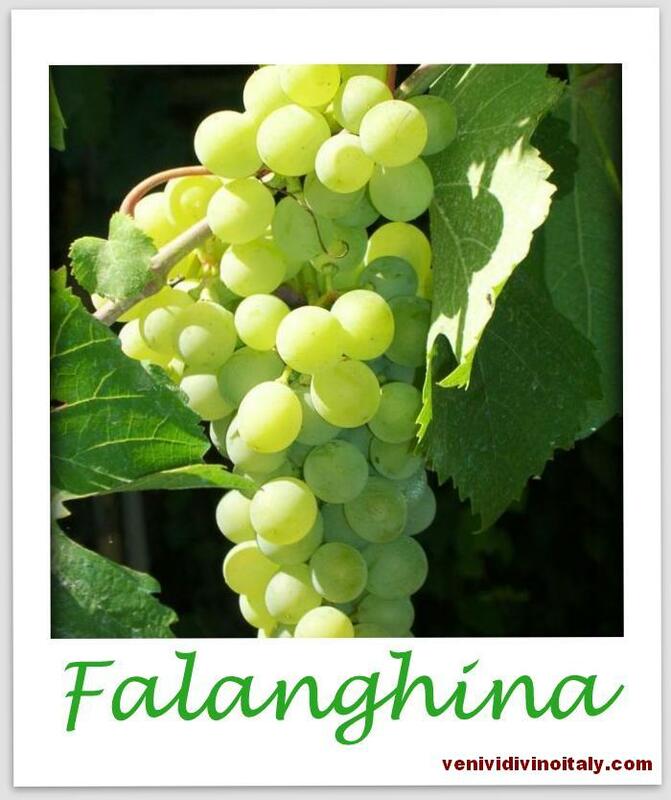 Falanghina is from the Campania region and for the most part strictly produced there. That being said you might find examples from the regions of Puglia or Abbruzzo as well. Also Known As: “Falanghina flegrea”, “Falanghina beneventana”. “Falanghina Greco”, and actually quite a few other variations that you probably won’t ever need to know! Color: Wines can range from a pale straw yellow to a bit more golden. Costs: $-$$, Usually in the low to medium price range. Who it’s good for: People who enjoy unoaked and mineral-driven whites. It can be higher in alcohol – 13%+, so you might want to eat with it. It’s high in acidity which makes it refreshing, and easy to pair with a variety of foods. This is a good alternative for Pinot Grigio, unoaked Chardonnay, dry Riesling or Sauvignon Blanc. Food pairing ideas: I’d suggest things like rice-based dishes, risottos, fried appetizers or fish, pizza, seafood, pastas with citrus-based or cream-based sauces, nothing too sweet and nothing terribly heavy (ie: probably not a heavy Ragu’ sauce and nothing sugary-sweet like ice cream or tiramisu). This entry was posted in Grapes: White, Historical Stuff and tagged Ancient Rome, Campania, Falaghina, Falaghina Greco, Italian grape varieties, Italian Wine, Italy, Naples, Pinot Grigio, Veni Vidi Vino Italy, White Wine, Wine, Wine Food pairing. Bookmark the permalink.